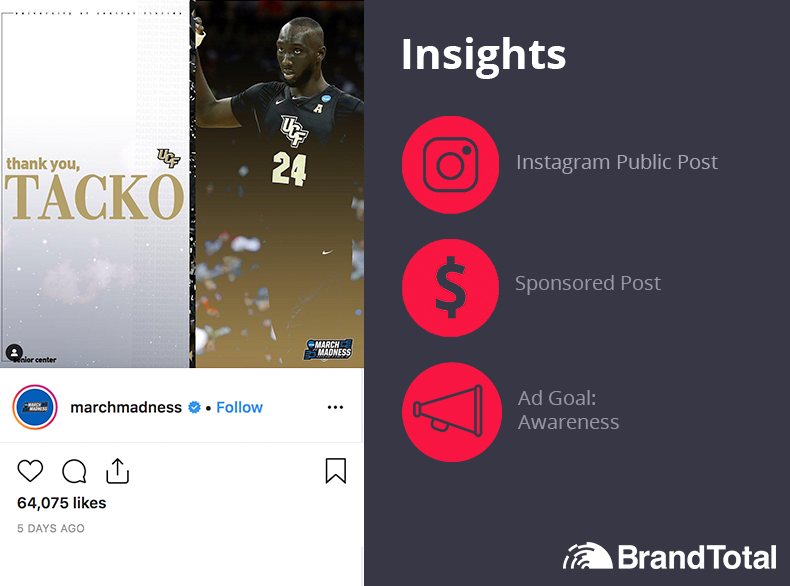 We analyzed the top marketing campaigns tied in with the NCAA March Madness Basketball Tournament to see how brands are capitalizing on the annual college sports frenzy. A common question around the office this time of year. 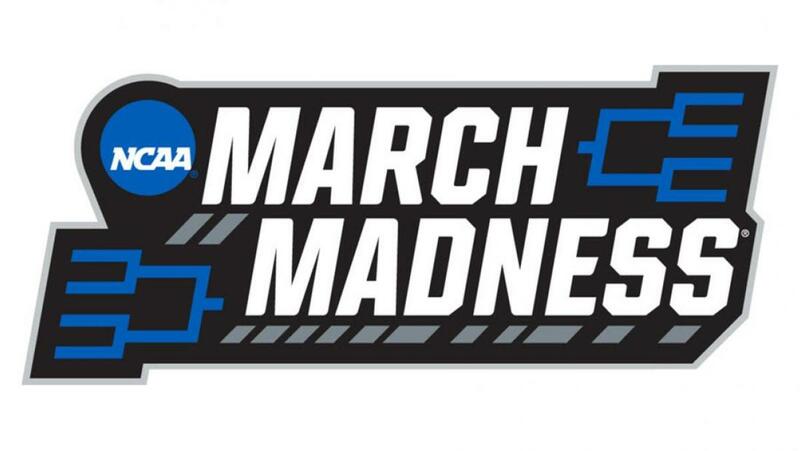 March Madness is a time when colleges across the country come together for one of the biggest sports and media spectacles of the year - save for the Super Bowl. While it's structured around the student-athlete ecosystem, this “college" tournament brings in an estimated $1 billion in revenue to the NCAA, not to mention, according The American Gaming Association, an estimated $9.2 billion in gambling on various brackets, and pools surrounding the event. When there is that much money - and attention at stake, we want to know how brands are driving and inserting themselves into the conversation. The official March Madness accounts have been posting heavily during the tournament so far. Their media breakdown has relied heavily on YouTube (46%) and Instagram (32%), with the other 12% on Facebook and 10% on Twitter. 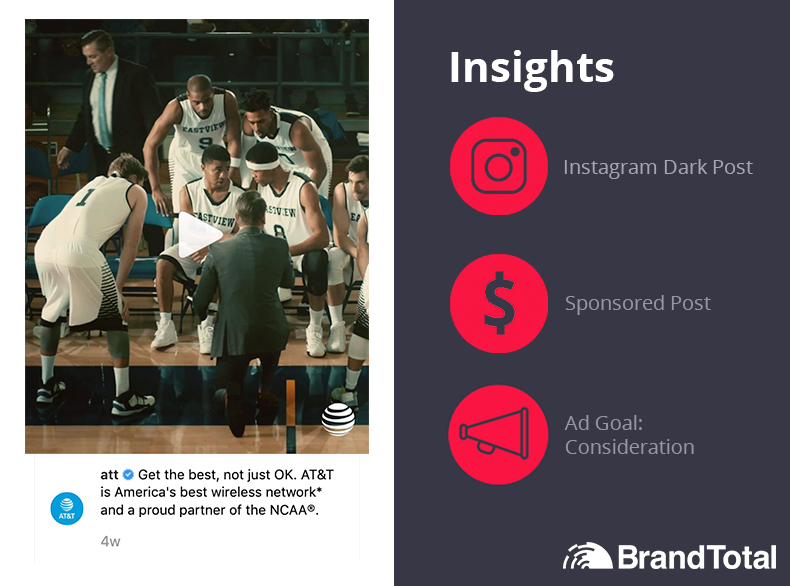 Instagram ads focusing on awareness (60%) and consideration (39%), while YouTube ads were focused 100% on conversion and getting you to watch the games. 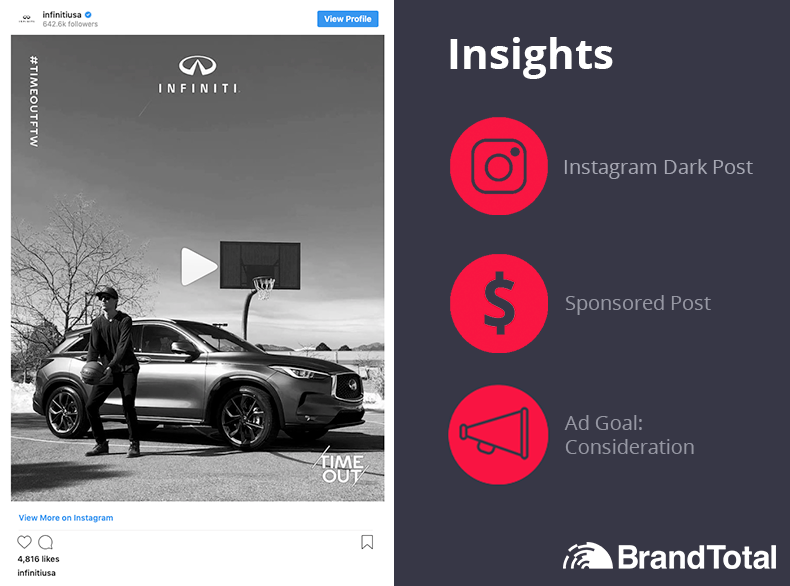 Two of the most successful ads, in terms of engagement, have been on Instagram. Both featuring University of Central Florida breakout star, Tacko Fall or Tacko "Tall" as his friends call him (he’s 7’6"). Comments and posts surrounding March Madness have been increasingly positive, with a 33% positive sentiment report and a 19% negative sentiment report. Pretty evenly across social using Facebook (31%), Instagram (39%), and Twitter (30%). On Twitter they were mainly focusing on consideration (97%). Instagram was a split, with 48% on awareness and 44% on consideration. Facebook was in a similar range as Twitter, with 80% focus on consideration. 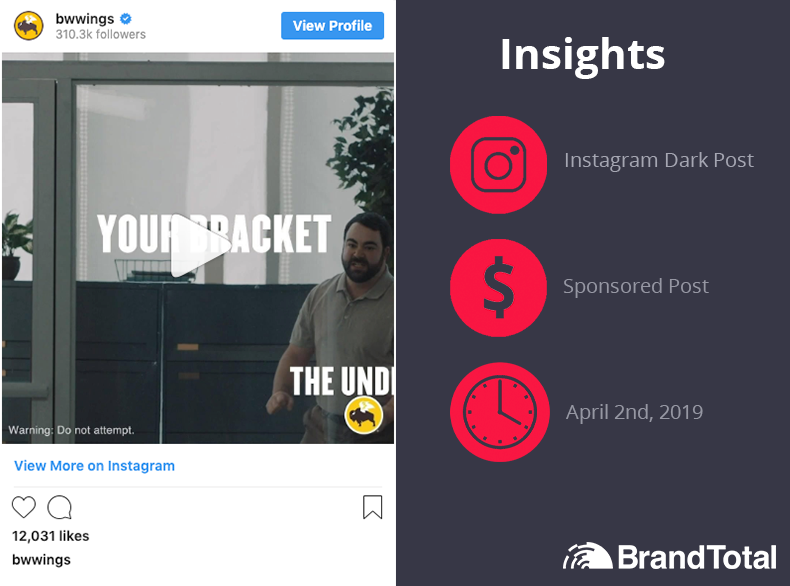 Their most viewed ad, in terms of engagement, has been an Instagram Dark post about March Madness. The posts have around the brand have been pretty similar in terms of positivity 21% and negativity 22%. AT&T used YouTube (69%) as their main medium, Instagram (21%) as its second and Facebook third(9%). Across all of their channels, 100% of the creatives are focusing on consideration. 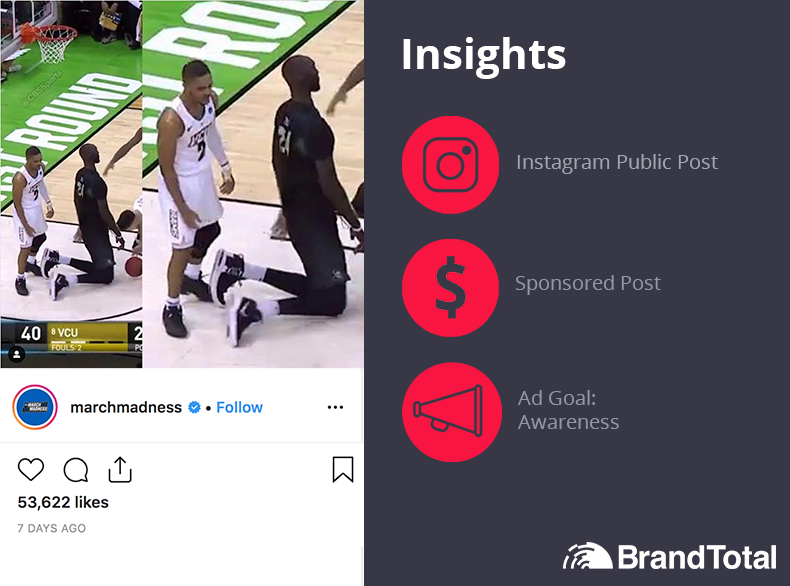 The ad that generated the most engagement was an Instagram dark post that continued their “Just okay, is not okay” campaign but with a March Madness twist. The main channel used for this campaign has been instagram, with 85% of the posts coming from there, and the other 14% coming from Facebook. Similar to AT&T, there is a 100% focus on consideration across all channels being used. The ad that has been succeeding the most was from their competition campaign. Where, if you posted a video of a trick shot / cool video with the campaign hashtag #TIMEOUTFTW and #INFINITICONTEST, you were entered into a raffle for a trip to see the final four. Really positive, the campaign has a 2% negative sentiment report and 29% positive sentiment report. As March Madness continues, we will be posting updates on other campaigns surrounding the tournament. Check back to keep up on the pulse of March Madness marketing. Interested in learning more about BrandTotal or how you can get insights like these on your competitors ? Get in touch!